Based in the Falkland Islands Bluff Cove Lagoon approached us when it came to rebranding their website. We have been working on print design for the team at Bluff Cove for a number of years and the website was in definite need of modernisation in terms of both functionality and design. 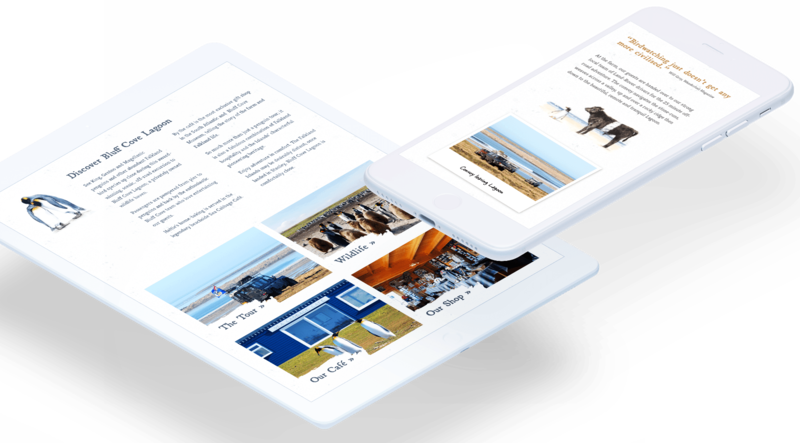 With a library of fantastic images we got to work on building a beautiful responsive website that reflects the stunning landscape of their wildlife tours, offers an insight into their museum and promotes their delicious Sea Cabbage Cafe. For print fulfilment and design for Bluff Cove Lagoon we provide ongoing services including brand design, brochure design, sign and banner design, postcards and more.